Rolls-Royce Motor Cars Manila supported outstanding entrepreneurial savants from around the region at the 2017 Asia Pacific Entrepreneurship Awards (APEA), a prestigious awards ceremony held last week. Organized by Enterprise Asia, one of the region’s leading non-governmental organisations championing entrepreneurship, the APEA is touted to be a world-class award recognizing and honoring business leaders who have shown outstanding performance and tenacity in developing successful businesses within the region. Rolls-Royce Motor Cars Manila collaborated with the organisation for the first time this year. Mr. Willy Tee Ten, Dealer Principal for Rolls-Royce Motor Cars Manila and President of the Autohub Group of Companies, was proud to support a new generation of bold business entrepreneurs. “I can identify personally with experience of being an entrepreneur, having walked that journey myself. From wavering uncertainty at the beginning, to the thrill of finally establishing stability with a new business, every entrepreneur goes through a tough struggle, emotionally, physically and mentally,” Mr. Tee Ten said. “That is why I believe that we must nurture the next generation of bold business leaders by recognizing those who work hard and achieve success. We proudly support APEA, and hope to continue giving back to the business community that have supported us throughout this time,” Mr. Tee Ten continued. A Rolls-Royce Dawn, finished in exquisite Midnight Sapphire with a Mandarin coachline running the span of the car and a Mandarin/Navy blue two-tone interior, was also on display at the event. 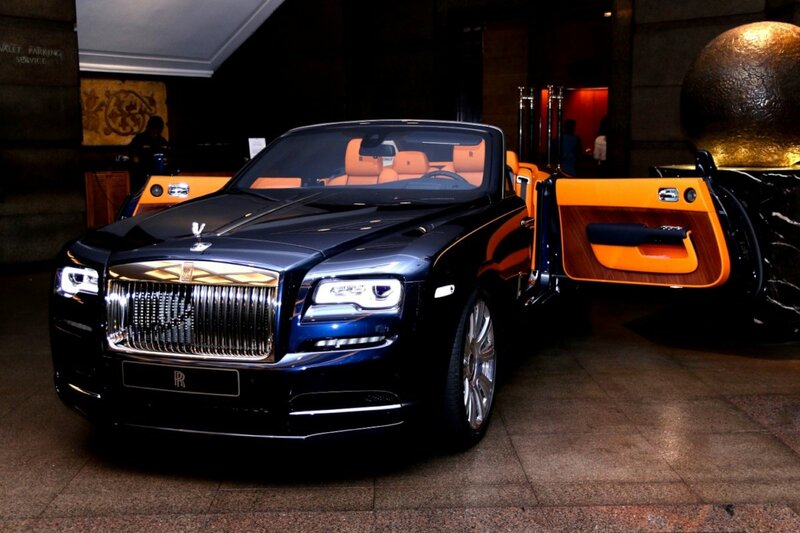 Attendees were given the opportunity to study the super-luxury drophead up-close.